Photo courtesy of Ambassador Music Group. When you hear the word “musician”, or “artist”, you usually picture your favorite singer or band member, probably in their 20s or 30s, maybe older. 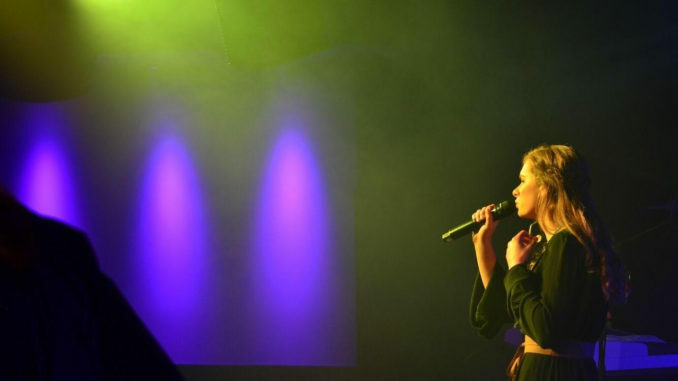 But Sydney Worthley is a serious musician — and she’s only a sophomore in high school. She’s already been playing and performing music for six years, since she was nine years old, but she’s wanted to perform since she was six, when her parents got her a guitar. She has previously taken lessons for guitar, but now takes vocal lessons, and recently taught herself to play piano. If it’s a really crappy day, I just go home and I write a ton. When asked what genre her music is, she explained that it’s difficult to describe. She said it used to be singer/songwriter, but is now considered pop/rock, as well as folk and country for a few of her songs. 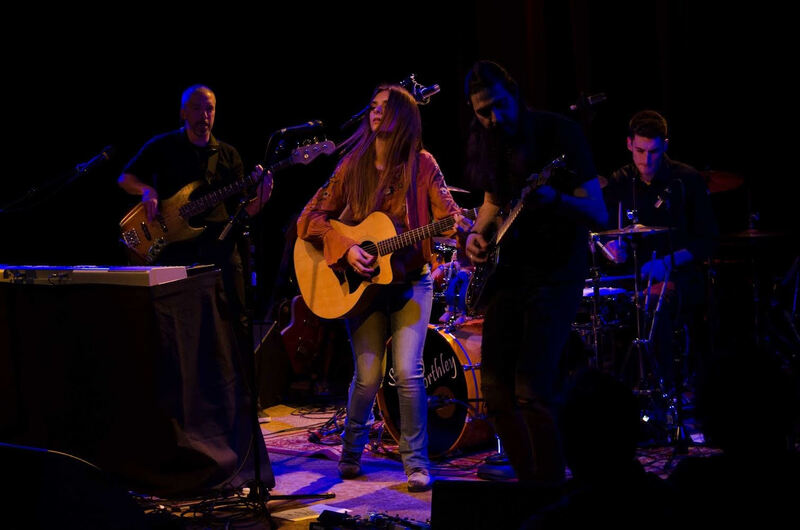 Sydney recently played at Infinity Hall in Connecticut, but her favorite place to perform is in Saratoga, because the people there really appreciate music. She said that what inspires her to write songs are just things that happen in her daily life: “If it’s a really crappy day, I just go home and I write a ton.” She told us that she wants to write music about “the things that people can relate to”. For example, she’s written a few songs about her friendships, and about losing friends and having to let go and move on from them. She also likes to write about her favorite books and tv shows, which we found interesting. When we asked her how she makes time for school, writing, and practicing, she jokingly said, “I have no clue.” But she did say that she is very grateful for her study hall this year so she can get a lot of her homework done during school. Another hobby she has is playing softball, which she does through both the school and a travel team. Wow, this girl is busy! Lindsey Odorizzi is a junior at Clayton A. Bouton High School and serves as the Blackbird Review’s editor in chief.